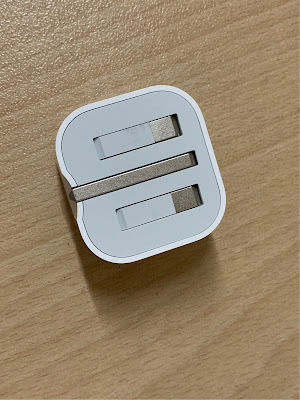 This charger came with the 2018 super slim iPad Pro, the one with Face ID and have magnets for the Apple Pencil to stick to. 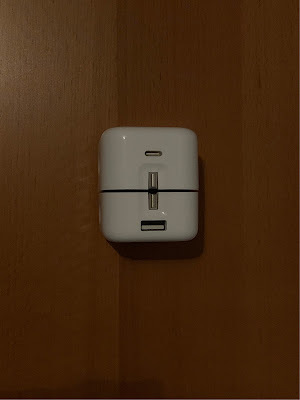 It is a USB-C charger. It is small. 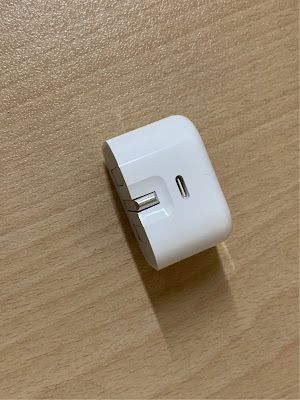 As small as the 5W iPhone charger that was shipped with every iPhone since the iPhone 3G. It is also slight fatter than the iPad Air charger. 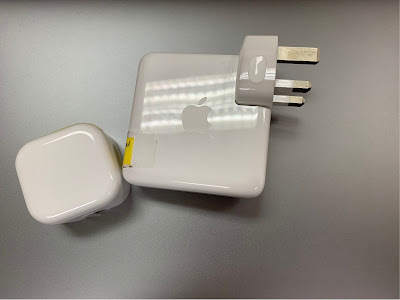 The legs can be flatten - this is the same charger design that shipped with Apple Watch Series 3. Some really thoughtful and delightful designs. Here are a couple of comparison pictures. The charger is 18W. And yet, it can charge a MacBook Pro 13” (without Touch Bar)! You read it right! This little guy can charge a MacBook Pro, albeit very, very, very slowly. 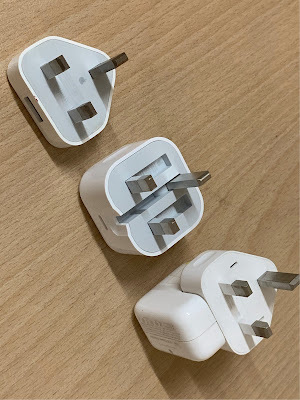 The MBP shipped with a 61W charger that’s three times in size. Fully charged a MacBook Pro 13". Impressive! This makes the 18W charger super handy when travelling or when you need to lighten your bag in your daily commute. And with the right cable, this USB C charger can fast charge your iPhone 8, X, XS, XR. That means, 30 minutes of fast charge can give you 50% battery life! I’m a believer of travelling light and so when this charger is available for sale individually for MYR$149, I grabbed one myself. Loving it very much. I like how the legs can be retracted to make it even easier to store! No poking legs to scratch your other equipment. Can stand-alone Philips Hue Smart Light work with Alexa Echo? 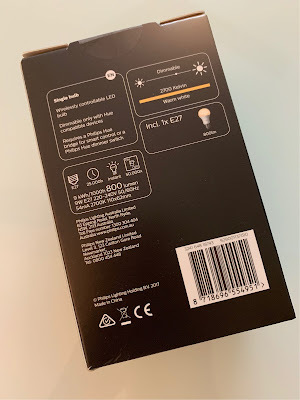 The short answer to whether you can configure a standalone Philips Hue smart light directly to Alexa Echo Plus Zigbee hub, without needing the Hue hub is - Yes, you can do that! So, during this year's Black Friday, Amazon Australia had a sale on Echo Plus 1st Generation at AUD$99. Not only that, they provide a Philips Hue smart light for free with every purchase. I bought this Echo Plus as my second Echo Plus mainly because I wanted to set up a set of speaker pair, to get glorious stereo sound (that works beautifully, btw and very easy to set up). 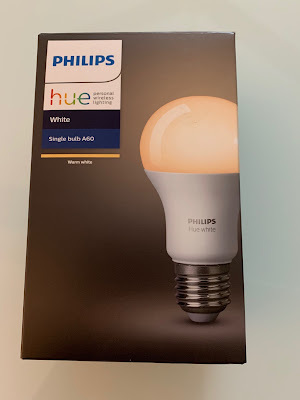 Anyway, I am glad that Amazon gave a free Philips Hue light because I've always been curious whether I need to buy a Philips Hue hub to connect the light to the hub, then connect the hub to Alexa Echo devices to control it. Turns out, I don't need the Hue hub (hurray!) because Echo Plus, which has a built in Zigbee hub, is able to accept and discover the Hue light. 2. Tap Philips Hue when asked what type of device you are setting up? 4. Discovering.. once it detected, it will take 45 seconds to complete the installation and you are good to go. REALLY simple! 5. Start asking Alexa to "turn on lights" or "change brightness of light to 10% or 50% or 70%"
More guides on this from Tom's Guide. I use this photo as my Twitter avatar for years! I pulled out my iPhone 3G from the jeans pocket, just as Steve Jobs pulled out the iPod nano from his jeans to demonstrate how small the nano was. 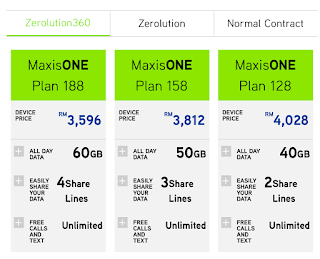 I am an iPhone user since the first iPhone was sold in Malaysia - the iPhone 3G. 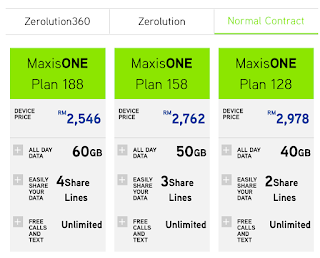 I was one of those fans who went for the midnight launch in KLCC. That was how much I wanted the iPhone after watching Steve Jobs’ keynote for many times over. Since then, I have upgraded to a iPhone 4, 5s and finally a 6 Plus and I have been using the 6 Plus for the longest time, around 4 years. The 6 Plus was a leap in the iPhone experience - simply because it transitioned into Big Screen. When the iPhone X was launched last year, I was really close to buying it. It was a new iPhone experience - full screen edge to edge, OLED screen (as opposed to 10 years of LCD), no Home button (new gesture-base navigation), Face ID vs Touch ID. It wasn’t the camera or improved photography that made me want the X because those functions already existed in iPhone 7 and 8. I didn’t upgrade then, so I don’t think the camera was a good enough reason. But the whole new experience of using a iPhone? Sign me up! Can you imagine the lust I had for the X back then? 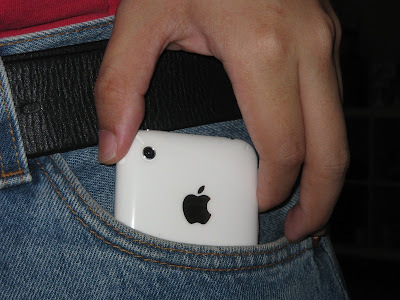 I imagined myself buying the white version and finally being able to pull a new white iPhone X from my jeans pocket, just as the photo above. And finally getting to update my Twitter avatar. That would have been be a perfect time to leap into a new iPhone experience and the new photo would be the perfect homecoming. But alas! I didn’t go with X simply because I read that physically, the width of the iPhone X is the same as the iPhone 7 or iPhone 6s, not the Plus model. That means, the keyboard will be smaller for a 6 Plus user. And some claimed that 6 Plus users made more error typing on the X phones because of the smaller size. This was a major deal breaker for me! When the iPhone Xs Max was announced this year, there is no doubt in my mind that this is the iPhone that I wanted. Even though Apple announced a new Xs (which is the same size as the X, a no-go for me), and a slightly bigger Xr (it is smaller than a Max and it is a LCD screen), both of these phones felt like a compromise. And so, I went with the Xs Max, 256GB and Space Grey. I wanted the white and the stainless steel silver band looks absolutely gorgeous. But seeing it in person, the shade of white Apple chose looked like dishwasher water white. Instead of the bright, pearl white that was the 3G, they went with a muted and more "dirtier" white. It really does look like dishwasher water. The gold was a tad too bling for me, although the muted gold colour is quite nice in person. Space Grey is safer. I chose 256GB due to more high res photos and videos I expected to take with this new phone. I wouldn't mind 128GB, it would have served my need (a strong plus point for the Xr), but alas, 256GB is the only logical version. 1. the OLED screen was freaking amazing!!! The colour was just so bright, so livid and so beautiful. Twitterrific in all black, true black, was just eye popping! Many a times, iPhone users prior to X envied Samsung OLED phones. Now, we could get the same experience. Full screen edge to edge made the iPhone feels totally like a new device. It's like Apple had a new device, totally different from what they have and it's not about being able to see more iMessage or more WhatsApp messages or more of your favourite website but just holding a screen with no bezels feel so different and awesome. 2. the speed - ok, I expected that this iPhone is fast since I am coming from a 6 Plus which lagged and crawled but I never expected it to be so fast and so smooth! When I multi task in the 6 Plus, whenever I switched from one app to the next and then back to the app, the earlier app have to be reloaded from scratch. For instance, I could be in Tapatalk and looking at a forum, I multi task out to answer a WhatsApp and then back to Tapatalk. Tapatalk kicked me out of the forum and I have to start all over from the main interface! The iPhone Xs has 4GB of RAM, a lot of memory for app to swap into and stayed there temporary while you jumped into another app. Face ID was super fast. When I tried to login to a website, I can now tap to get my user id and password from Keychain or Lastpass, it doesn't matter which. Face ID immediately recognize me and grabbed the userid/password and filled up for me. Look at this screen recording, which btw, is a new cool feature in iOS 12. With Touch ID, there is a very small delay for the dialogue box to come up to instruct you to put your finger into the Touch ID. Then, there is a delay as you start to put your finger onto the home button. With Face ID, it was instantaneous because you are already looking at the screen! 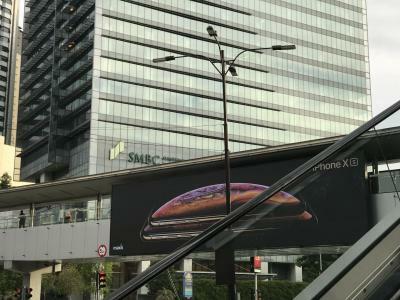 3. the delightful experience - (1) and (2) above worked hand in hand to help with the experience of using the Xs Max. Everything was buttery smooth. You remember a time when using Apple products and things are just very zippy and fast (I remember seeing a Steve Jobs keynote where he was snapping his fingers and saying zippy)? Over the years of using the 6 Plus, I have resigned to a slow experience when using the phone. Tap on the Phone icon and there is a 0.1 second delay before it appear. Tap WhatsApp and there is a delay. Scrolling, multitasking, flipping from app to app, running workflow/shortcuts, pull down on notification, work on the notification on the spot, etc ... just so fast and very productive for a busy person. It's really night and day from the 6 Plus. I felt I have wasted productivity time in the past. There's a few little touches that made this phone such a delight to use. When turning the volume button on and off, there is a slight haptic feedback. When you pull down to refresh or when you upvote on Reddit, you get a haptic feedback. When some apps support True Black and you turn that on and it feels like a different app, that was nice. When the phone rang and you picked up the phone and the ringtone volume starts to tone down (this feature is called "Attention Aware Features" in Face ID settings). Siri works much, much better because of the speed. Lots of little touches which I discovered made me glee like a child with a new toy. I was also relieved when two of the apps that I used often, CamCard and Scanner Pro, does not crash anymore due to the clunky camera in the 6 Plus. 4. the other good stuff - water resistant - no more fear of dropping into the pool or long-kang. Superb stereo speaker and recording video in stereo sound. The 2x camera but I think it's better you read Daring Fireball review - Portrait mode, computational photography. a. it is heavier as compared to the 6 Plus. I think the reason is due to the stainless steel band, which is heavier than aluminum. I also think the battery is thicker, maybe - or it has the wireless charging thingy which added the the weight. b. the price - yes, it is the most expensive iPhones ever! Even with telco subsidy with 2 year contract, it is just too expensive for a phone. 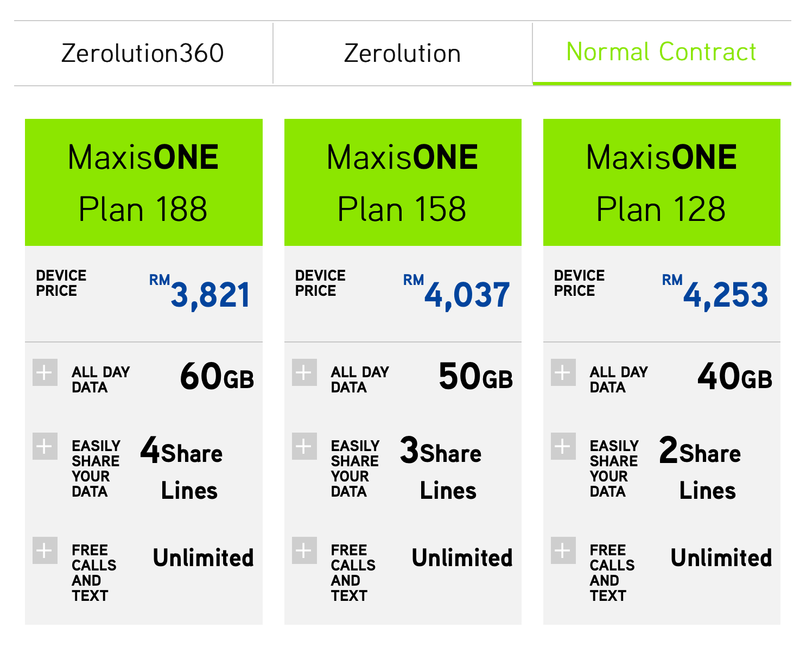 I rationalize by the fact that Apple phone can last for 4 years and so the ROI, if I take care of it well, will be recouped. P.S. there have been a few recommendations from the forum I frequented and the podcast I listened to on the Apple leather case. While it is not cheap at RM199, it wasn't terribly expensive either and so, I decided to trust the forum people and podcaster and bought the Saddle Brown leather case. Firstly, the leather feels really nice. The case fits the phone snugly and you feel assured that the phone is protected. The metal buttons on the case are anodized in brown and they feel nice to press, not plasticky at all. And with leather, it will only aged gracefully and the longer you use, the better the leather will break and age. Let's see how it is one or two years later. The only problem is that, like all Apple cases (including the silicon ones), the bottom are exposed. 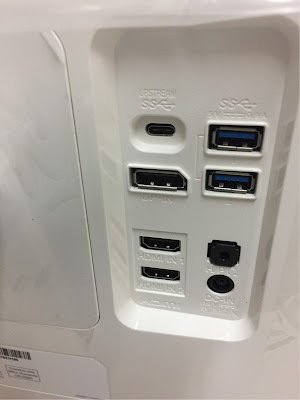 I guess they have to expose it so that you can plug the lightning connector and that the speaker grille are free to blast out beautiful sounds. Friends asked me this questions. Many reviews are touting Xr as being the best value for money iPhone of this generation. You get full screen experience, you get Face ID. 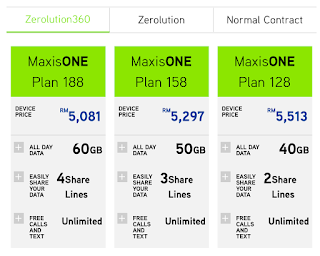 It is fast because all the internals are the same as Xs (the same A12 Bionic chip, neural engine, bla) and it is much, much cheaper! I knew all these before I bought the Max and here are my rationale: I'm not young and already have "lou fah" where I will need to use reading glasses to see properly. If this phone is going to last me another 4 years, by that time, my eye sight who have deteriorated further and I will not be able to enjoy OLED screen. I might as well enjoy that superb OLED screen now! Secondly, I love taking photos of the kids. So, having good camera and beautiful pictures are what I want now. The Xs has the best camera in the phone, period. And I wanted that. 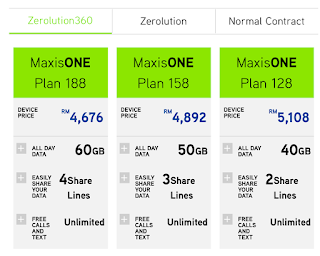 It's not the RM6,000 Retail price. 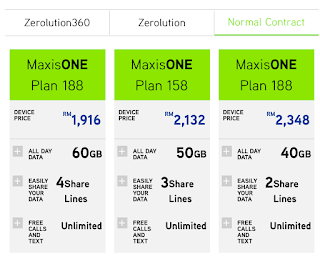 The subsidy by the telco is quite good .. they subsidize $1,400. 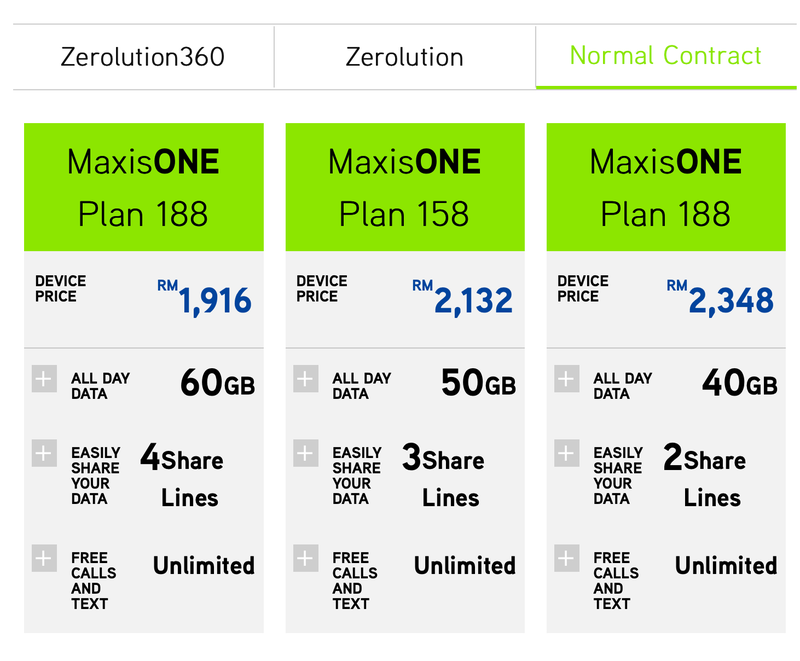 And maxis also offered installment plan, so with a 24 month contract, I just needed to pay RM220/month with my current plan of RM$128/month call and data. But... $220x24months is $5,280. Comparing to paying upfront of $4,658, it is more expensive by $622! 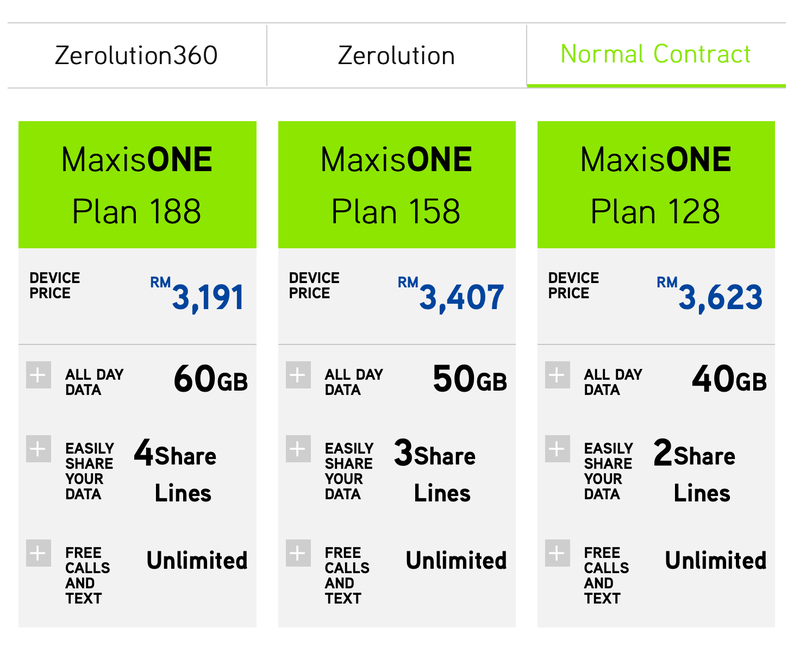 The dilemma is whether I want to do installment or to do upfront payment. I am also torn between white or space grey. While I am usually a space grey person, white will be in spirit of my first iPhone 3G which has a white back. I read elsewhere that the white is not pure white but looks like dishwasher white .. and I worry that it will turn yellow as time passed... so it is very likely I am sticking to black. If you are a maxis user, here is the pre-order page. There are some steps to get yourself ready, so check out the page early. I am excited... but I am not sure I can afford it at this moment. 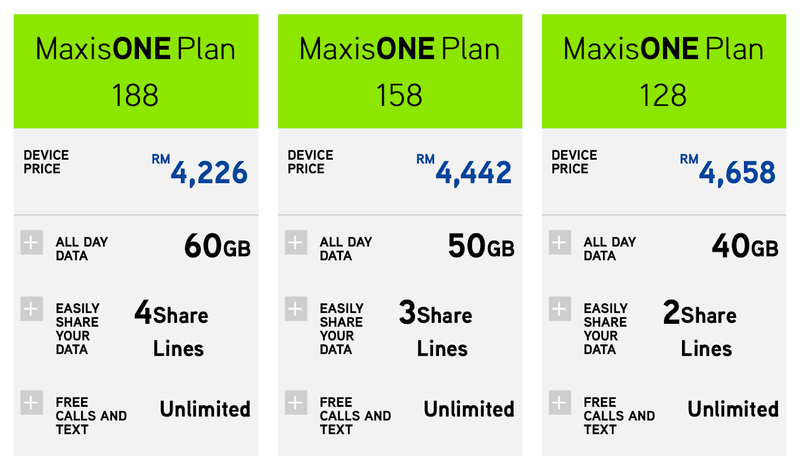 The price is really ridiculous.. 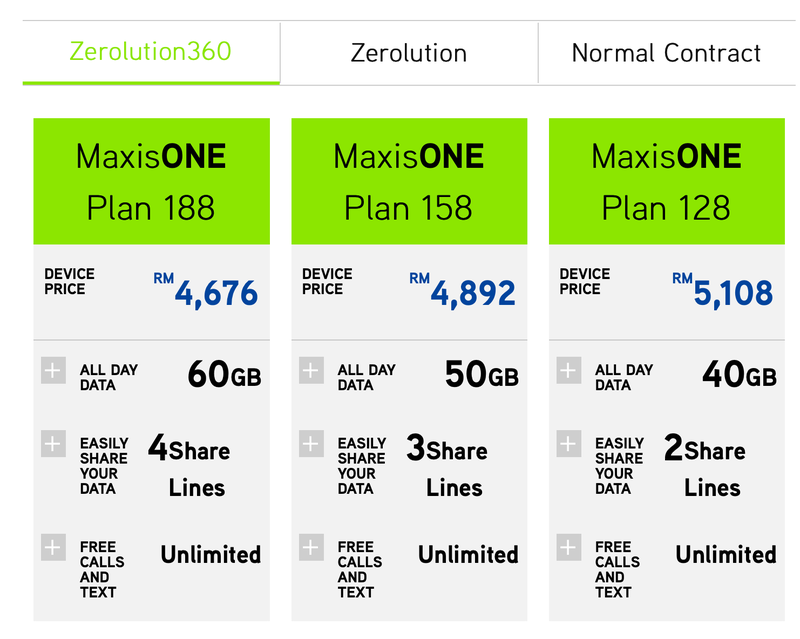 I am eyeing the XS Max 256GB and I believe the price is almost RM$6,000K if buy direct from Apple. 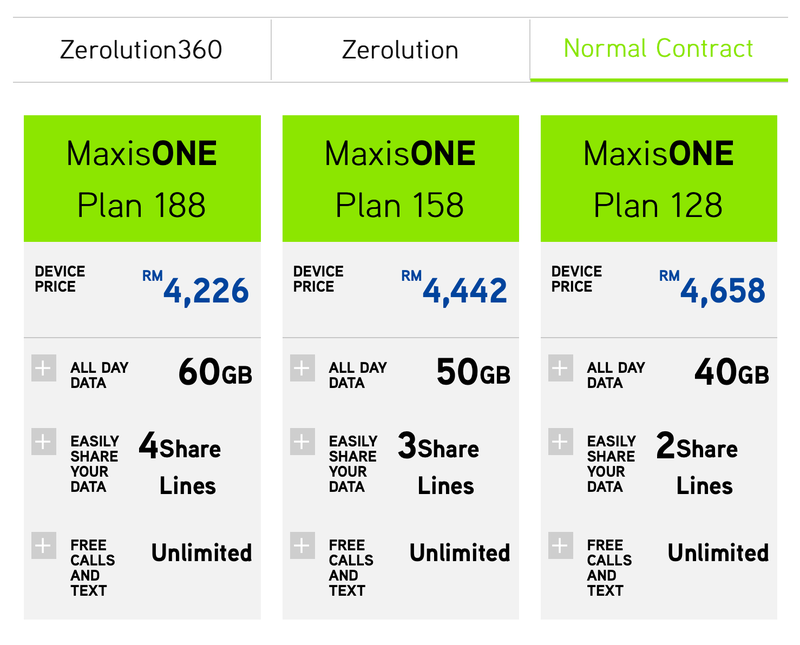 With telco subsidy, it could be RM$5K. At that price, you can buy a laptop or a MacBook or a super, duper powerful PC desktop that can play state of the art game... or a 38" LG monitor. 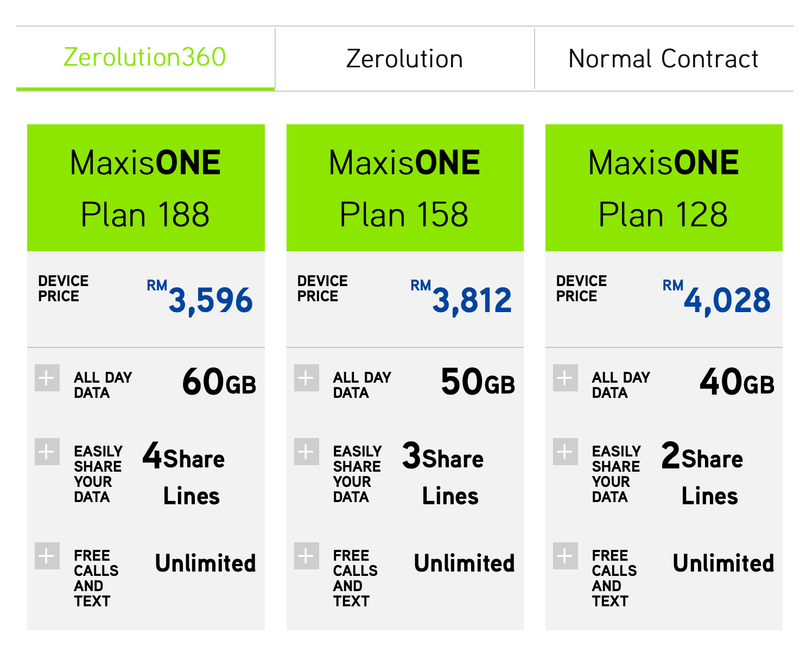 Customers looking to get the iPhone XS will be able to purchase the 64GB model for RM3,799 (save RM1,200), 256GB for RM4,299 (save RM1,300) and RM512GB for RM5,299 (RM1,350) under the Unlimited Hero P99 postpaid plan. For RM99 a month, customers will get unlimited data and calls to all networks. 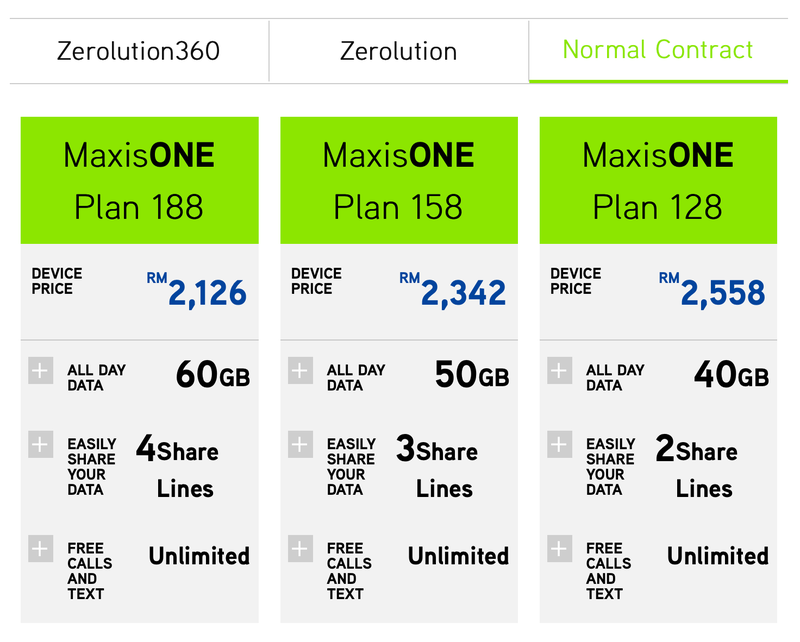 On top of that, they will also get 3GB roaming data and 30GB hotspot data. 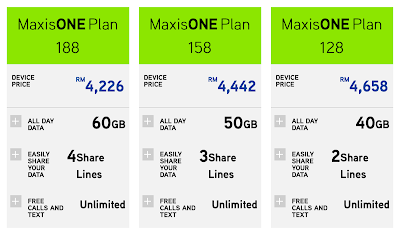 Come on, maxis... don't be greedy. Make me bite. I want to bite... please give me a damn good reason to do so! A biggest fear of buying a new, expensive monitor is backlight bleeding. The way LCD monitors work is that the monitor screen is lighted from the back. There is a panel in front of the backlight that blocks the emitted light, thus creating different colour per pixel. A complete blockage produces the black colour. Normally, around the bezel, the panel have issue blocking the light. This is due to the pressure from the bezel itself or pressure created when you are pressing the screen too hard when moving the monitor. This causes the panel to fail to block the light completely and thus, it bleeds around the panel. Fortunately, this LG 38” have good manufacturing process or a very good QC. 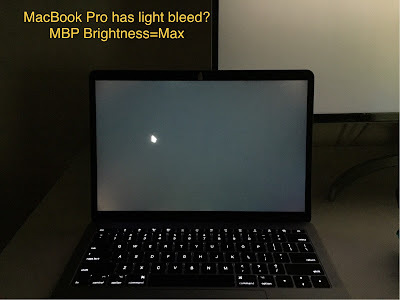 4 days after using it, I decided to test it for backlight bleed. 1/ Testing is a simple procedure of loading up a full screen black wallpaper.. or you can just go to this website and click a link to load up a black screen. 2/ switch off your room light so tbe room is in darkness. 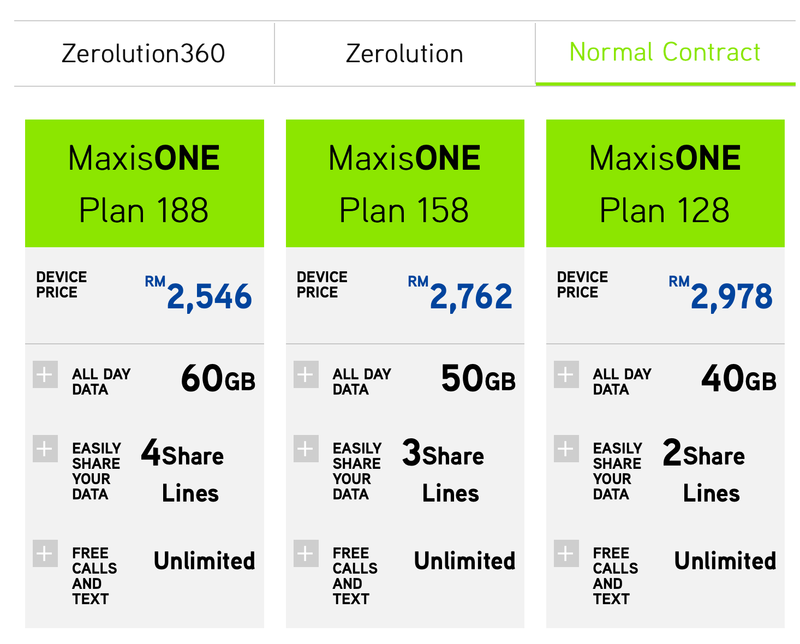 This is so its easier for you to spot any inconsistency in the screen. Setting Brightness to maximum.. and still looks ok! Phew! I am pretty relieved that my monitor is free from backlight bleed... so far. I need to handle the screen tenderly. No pressure especially when moving the screen! I bought this today. It was not an impulse buy. 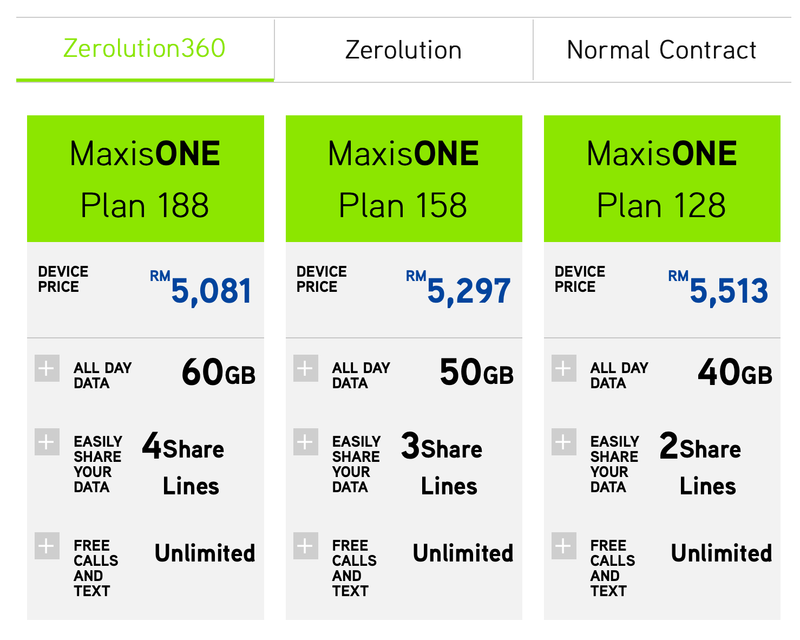 I spent months researching and then two months of waiting for stock from LG Malaysia. 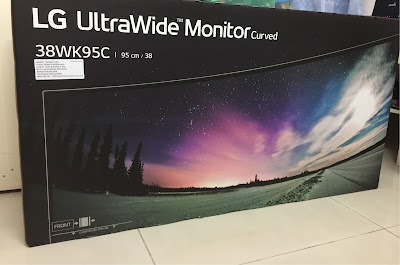 Trust me, it is not easy to buy a modern monitor these days. 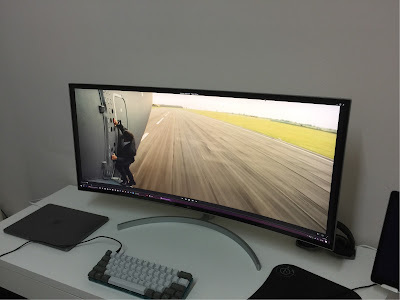 ultra wide screen regardless of size - can be 32" or 34" or even 34"
I have searched high and low. I looked for Asus, I looked at Dell and Alienware.. none of them ticked these checkboxes, particularly that USB-C one.. 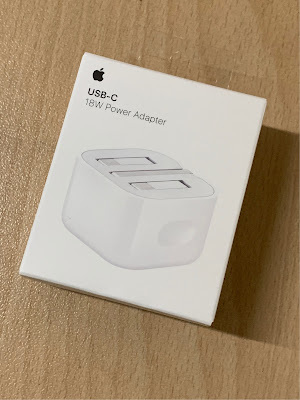 I realize that I really wanted the USB-C and good speakers. I don't really care about G-Sync because even though I still play games, I spent more time surfing, reading, watching video and listening to music on the PC. 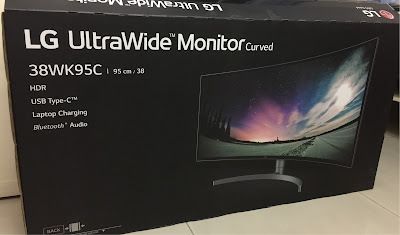 The LG UltraWide 38WK95C Monitor met all of the criteria except the G-Sync. 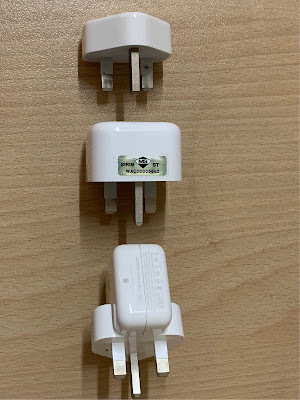 I will repeat this because not many YouTube videos or written reviews were very specific about the USB-C. This monitor DOES charge the 2017 MacBook Pro 13" via the USB-C cable that was provided by LG. It also extend the display of the MacBook, meaning it will be a secondary display to the Mac. 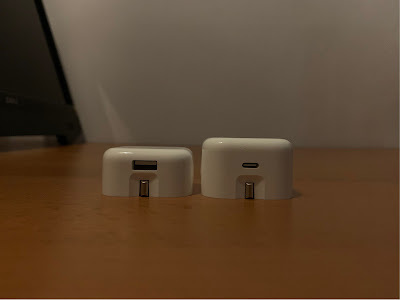 In fact, it gives out 60W of power via the USB-C PD (Power Delivery). There you go. You can rest assure it works. Even the box has the words "Laptop charging" printed on it. 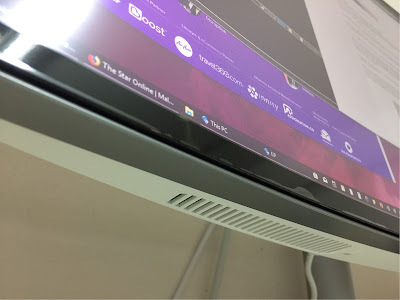 The PC can be connected to the LG via DisplayPort. 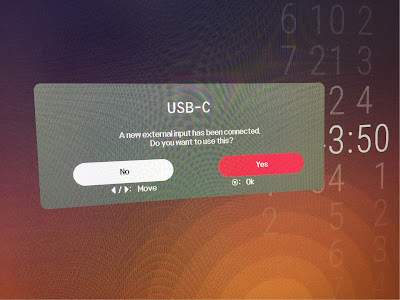 The moment I plug in the USB-C, a dialog box appear asking me that it detected a USB-C connection and whether I wanted to display it. If I pressed on the joystick at the bottom of the monitor, the screen will swap to macOS. If I leave it, it will time out and switch back to the PC. Even if it switched into the PC, the Mac continues to charge. I can switch to the Mac anytime by changing the Input selection in the monitor menu. 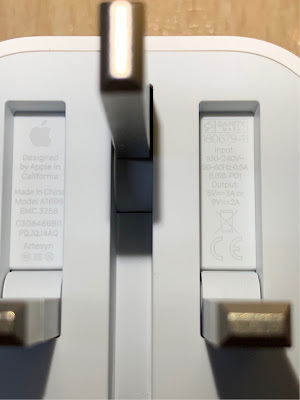 There is another interesting thing about the USB-C. If the monitor goes to sleep, for instance, you sleep the PC and so they monitor blanks out, the USB-C continues to charge the Mac. However, the USB 3.0 which has a 5V, 0.9A charge capability, will stop charging. 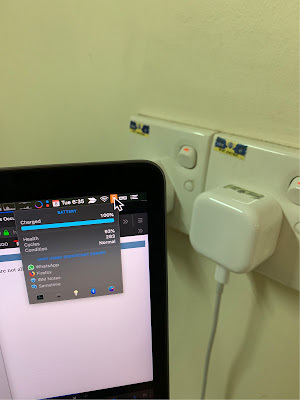 Btw, you can connect and charge an iPad or iPhone with the USB 3.0, strange that it couldn't charge an iPad Air. I don't have a MacBook Pro 15", so I can't test but one video I saw in YouTube claimed that the 60W is able to charge the 15". 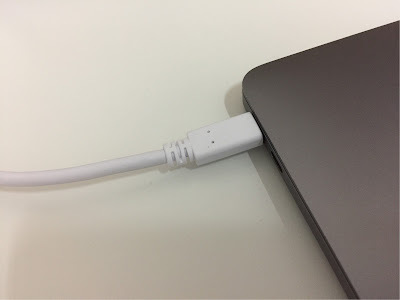 1/ I plugged the USB-C into the MacBook. Then the keyboard+mouse can drive the MacBook. 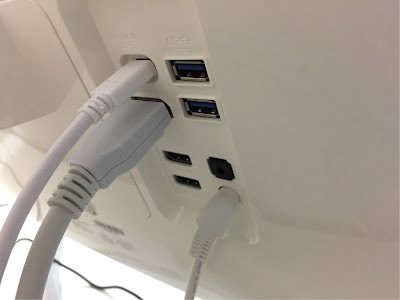 2/ I attached the USB-C cable into a usb-C to usb-A adapter (that is included in the accessory box) and then plug this adapter into the PC's USB 3.0 port. Then the USB behind the monitor become a USB 3.0 hub and the keyboard+mouse can drive the PC. This also means I must physically plug the USB-C cable into the Mac or a PC in order for the keyboard+mouse to drive the Mac or PC. My other option is to use software to simulate a KVM switch and LG does provide a software - they called it the Dual Controller. It simulates key and mouse press via tcpip. I am not a fan of this simulation as I believe there will be lag. Shot taken from the bottom of the monitor. Notice those vents? This is just one side of the speaker. There are two of them. There are two speakers at the bottom of the monitor, located at the air vent on the base of the screen. This is a 10W speaker and there are 2 of them! 10W speaker is loud - as loud as modern TV speakers.. if not better. LG said these speakers came with Rich Bass - the bass is really deep and strong. I am loving them very much! I also do not need additional cable to plug from the PC/Mac into the monitor. The USB-C itself does power graphics+sound from the Mac to the monitor. The DisplayPort (or HDMI) also power graphics+sound from the PC to the monitor. Also, the speakers itself has Bluetooth capability, so I can cast sound from my iPhone or iPad into the speakers wireless across the room. Mission Impossible from iTunes - full screen and no black bars! This monitor is a 21:9 - meaning it is able to play wide screen video from edge to edge, without having the black bars. I played Mission Impossible - Rogue Nation from iTunes and it went edge to edge. Really, really nice. The curve doesn't bother me much but you must sit a bit further from the monitor because it is just so huge. I do find myself having to move my head to one side if the window is there. I have to say though - if you are used to the super retina resolution from the MacBook Pro, you will find that this LG screen is not as sharp. It doesn't cramp a lot of pixels into a smaller inch. Really, it's just like any other monitor. I am just being spoiled by the MacBook Pro. Another view of the box. Very nice design. 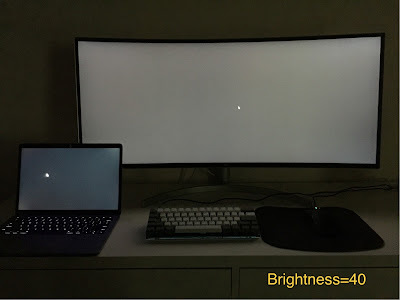 If you are looking for a UltraWide screen to improve your productivity (work with the Mac) and then yet have an option for fun (chill out with music or watch a 4k video or, even gaming with the PC), I think this is the right monitor for you. It's what I do. I connect the PC to the DisplayPort to relax. 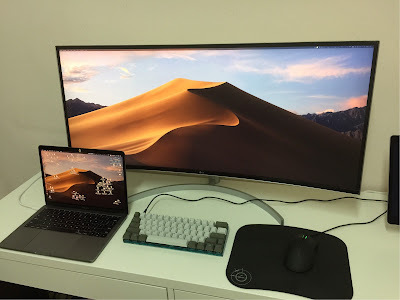 And when I need to work, I just plug the USB-C to the Mac and with a flick of the joystick, I could flip the screen to the Mac for work... well, except that I don't have a keyboard and mouse switch to connect to the Mac at this moment (I will have to look into this).. anyway, great monitor and I'd highly recommend it! 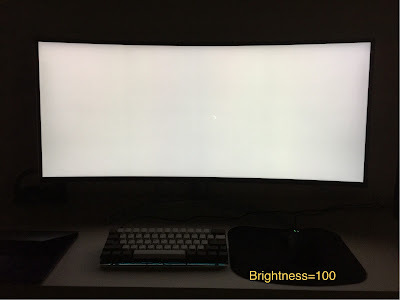 Follow up article - backlight bleeding? Thankfully, no.